Take your webcam to the next level with Logitech Webcam Software. With the hype of social media and DSLR cameras, the race to capturing the perfect moment in a picture or video is getting more and more rigorous. In such a scenario, a number of picture-related software have been cropping up. These include photo editors and webcam software. Likewise, Logitech webcam software is also a photo and/or video enhancer that improves the experience of capturing pictures and making videos. 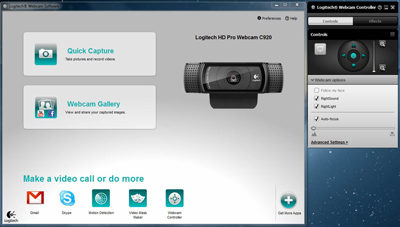 Developed by Logitech International SA, the Logitech Webcam Software was released in 2012. It is an imperative accessory if you have a Logitech webcam. Though its usage is limited to USB cameras by Logitech only, it does enhance the experience manifolds and maximize the features and usability of these webcams. The file size is 73 MB which is on the medium side, not too big or too small. For a software that adds so much to the user experience however, the size is inconsequential. The software is compatible with Windows XP, Windows Vista and Windows 7. It includes older versions of windows as well. The latest version also supports Windows 8 which can be enabled in the camera controller that you will find at the Windows 8 Store. The feature can be enabled to the following but not limited to: C920, C615, C525, C310, C270 and C170. Logitech Webcam Software takes high quality pictures and allows for High Definition for both pictures and videos as well. However, the HD quality is only possible with a few cameras that are compatible with the technology. The one thing that is especially appealing about this software is that it allows pictures and videos to be directly uploaded to Facebook. You do not have to manually open Facebook and upload each picture. With Logitech Webcam Software, this is just one click away. 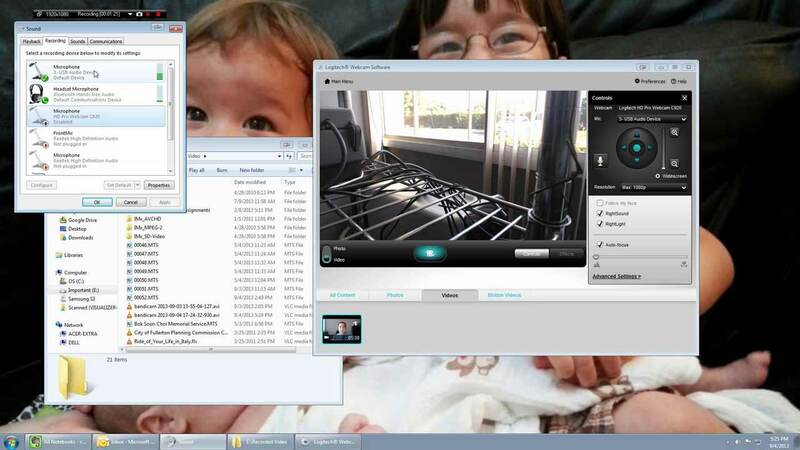 Through Logitech Webcam Software, you can access camera settings and adjust them according to your need. There is also the option of motion detection. This feature is especially beneficial if the camera is being used for surveillance purposes. Moreover, this feature can also be scheduled, for instance, if you want it to automatically turn on at night, you can schedule that. In combination with whatever video-calling software you use, it also provides with the face tracking facility. The main menu has the option of zooming in even during a video call and enables control over image pan. The software is simply designed and can easily be used by amateurs or first timers. They can focus manually and use auto-correction tools. However, the technology is advanced enough to be utilized by more experienced users where they can play around with the white balance and brightness. There is also the anti-flickering technique that can be used. Additionally, the audio quality of the recorded sound is good if not great and very clear. In summation, Logitech Webcam Software fulfills all basic requirements. But perhaps its most attractive feature is the user’s ability to post pictures and videos directly to their social media accounts.